The planning authority’s decision to extend planning permission for a proposed €500 million liquefied natural gas (LNG) terminal in Co Kerry is set to be judicially reviewed at the High Court this week. 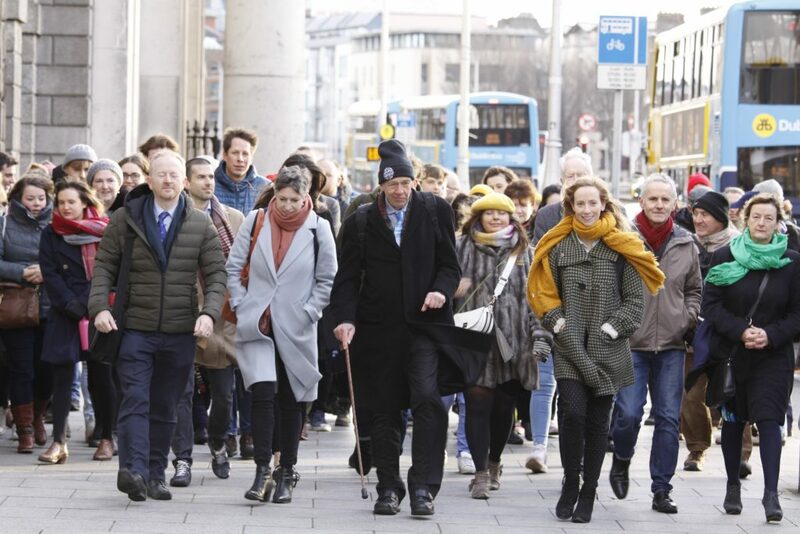 The case is being brought by Friends of the Irish Environment (FiE), who, under the Climate Case Ireland moniker, took a landmark case against the State just last week over its climate plan. In this particular case, FiE argues that the decision to grant Shannon LNG an additional five years to build a gas terminal wedged between Ballylongford and Tarbert ignores the State’s obligations under the Climate Act 2015. The project on the Shannon Estuary has stalled for the past decade since An Bord Pleanála (ABP) first granted planning permission for 10 years in March 2008. The extension was granted last year to “allow a reasonable period for the completion of this extensive” Strategic Infrastructure Development. FiE will be represented by a legal team of FP Logue Solicitors, James Devlin SC and John Kenny BL, who, during initial proceedings in October 2018, told Mr Justice David Barniville that any consideration of the Climate Act was “simply absent” from ABP’s decision. ABP, Mr Kenny argued, assumed that the state of the environment today is exactly the same as it was ten years ago and took no account of any changes and new information since then. Mr Justice Barniville said that he was satisfied with the grounds presented by Mr Kenny last October and gave directions for the case to be heard. Proceedings are set to commence this Tuesday and are expected to last four days. Shannon LNG recently entered into an agreement to develop the project with New Fortress Energy, a US equity fund already involved in operating LNG terminals in Miami and Jamaica. 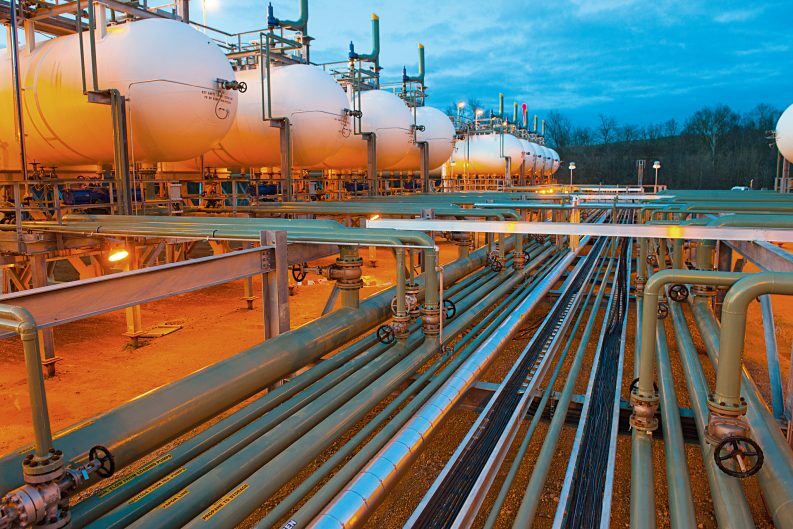 The process of exporting gas as LNG is an energy-intensive process of transporting, purifying, and cooling it into a liquid via a network of pipelines and export terminals. 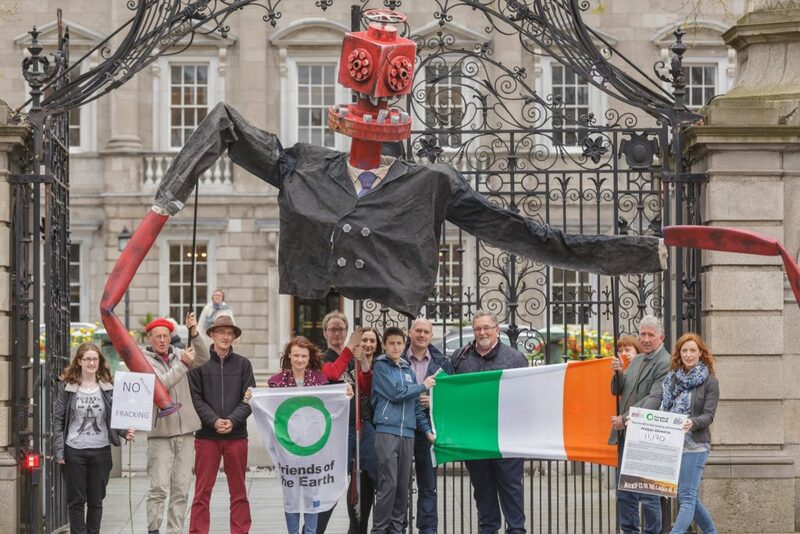 Opponents of the plan are also concerned that the project runs contrary to Ireland`s decision to ban onshore fracking last year as the imported gas will most likely come from the US fracking industry. Fracking is used to extract natural gas from land that is rich in shale rock. It involves the pumping of a high-pressure mix of water, chemicals and sand to create openings in the rock so that gas can seep out. A spokesperson for FiE said that the “proposed terminal will be capable of receiving the largest LNG tankers in operation”. “[The terminal] is designed to import significant quantities of fossil fuels into the national and European gas grid, locking another generation into fossil fuels,” the spokesperson said. Anne Marie Harrington, of Futureproof Clare, a local campaign group that opposing the project, said that the project will “lock Ireland into fossil fuel dependency” for decades and impede the further roll-out of renewables. The project, she said, could also “threaten 21,000 tourism jobs in Clare and Kerry, endanger the Shannon Estuary’s fragile ecosystem and harm communities in the US where fracking takes place”. She said that An Bord Pleanála has also failed to take account of the climate impact of potential methane leakage during the extraction, transportation and processing of gas. Methane has a far greater global warming potential than carbon dioxide in the first 20 years after it escapes into the atmosphere. “It is shocking that An Bord Pleanála simply extended planning permission for this terminal without considering the huge advances in scientific understanding of methane’s role in climate change,” Ms Harrington added. 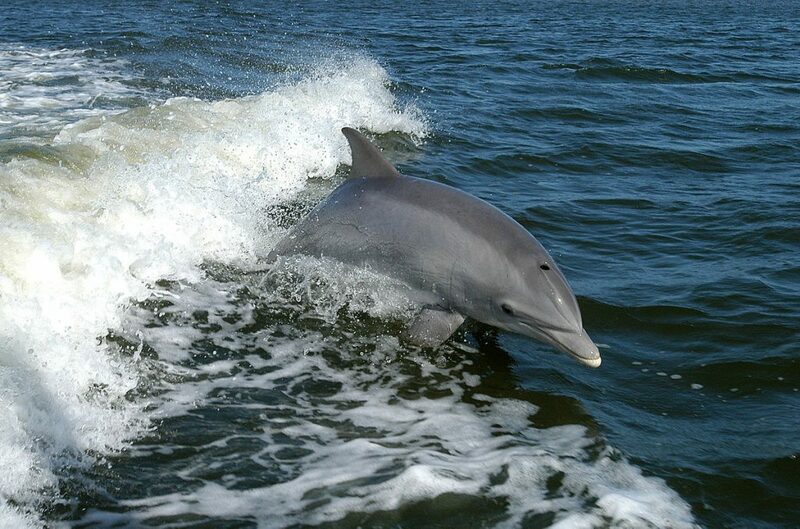 FIE has also argued that ABP’s decision failed to consider changes in EU legal nature protection over the last 10 years, including stronger protection for the largest community for bottlenose dolphins in Ireland that frequent the Shannon estuary. The proposed terminal is set to be located in a sensitive and protected area for various species and an important calving site for bottle-nosed dolphin in Ireland. In its latest decision, ABP determined that the screening for appropriate assessment submitted with the original 2008 application was sufficient to show that there would be no “significant effects” on the area. During initial proceedings last October, Mr Kenny told Mr Justice Barniville that this screening was “inadequate” and that ABP failed to take account of a 2012 National Parks and Wildlife Service survey on the area. The NPWS survey, Mr Kenny said, shows that the jetty area identified for the proposed terminal is a “critical habitat” for the dolphins. The species is sensitive to noise generated by ships. Submissions from other groups raised additional issues including the expansion of protected nature sites in the area. The River Shannon and River Fergus Estuaries are both protected areas acknowledged to be the most important coastal wetland in Ireland that contain the largest numbers of birds and wintering birds on the island. In his report in June 2018 recommending that the Board grant the extension, inspector Michael Dillon said that he was “satisfied” that no arguments have been put forward to alter his original assessment in relation to the impact on the environment. Speaking in the Dail on Thursday, the Minister for Natural Resources, Sean Canney TD said that the import of liquid natural gas from the US “offers the opportunity to diversify supply” that is currently dependent on the Russian and Scottish markets. “There is a need for secure supply right now. In 20 years’ time, we will have transitioned away from this type of fuel but we cannot do it overnight,” he said. Independent deputy Mick Wallace, who questioned the project, said that it is clear from Mr Canney’s answer that the State is well aware that “by buying fracked gas from America, we are going to a dirtier fuel now”. “The terminal being built on the Shannon will lock us into future fossil fuel use when our future energy policy needs to focus on renewables. Why are we allowing this private company to do this?” Mr Wallace asked. Mr Canney said that Shannon LNG is a private commercial project that is governed by EU regulations and as such “[the State] cannot say we are not doing this or that”. “Any future investment decisions on the development of this project are ultimately the responsibility of the project promoters, subject to compliance with all legal and regulatory requirements,” he said. Speaking before an Oireachtas Committee earlier this summer, Gregg Muttitt of the think tank Oil Change International said that Ireland’s dependence on gas will ensure that we miss our Paris Agreement targets. He said that the idea of using gas as a transitional fuel is “flawed” as it will slow down the transition to renewable power as gas competes with wind and solar in EU and global markets. A 2018 report from four universities, including Dublin City University, found that the best way to address both Irish energy security and the need for rapid decarbonisation is to constrain and reduce energy consumption and to “directly exit from the use of all fossil fuels, including natural gas, as quickly as is safely feasible”. The report, commissioned on behalf of Stop Climate Chaos, said that our renewable energy capacity combined with large-scale energy storage makes rapid fossil fuel phase-out “technically feasible”. “[We] can progressively eliminate the security-of-supply risks associated with all imported fossil fuels, while simultaneously decarbonising at the scale and urgency demanded by good faith participation in the Paris agreement,” the report states. The Shannon LNG project is included in the EU`s Projects of Common Interest (PCI), key infrastructure projects to link the energy systems of the EU State members. They are supposed to support the EU`s policy and climate goals by offering cheap, safe and sustainable energy to citizens, and qualify for streamlined planning and financial support from the EU. The PCI list, however, contains over 100 gas projects, including the Southern Gas Corridor linked to the violation of human rights in Azerbaijan, and the MidCat pipeline between France and Spain. The Franco-Iberian project was blocked by France’s Energy Regulatory Commission earlier this month on several grounds including a lack of necessity and high cost. A motion to block the inclusion of major gas infrastructure projects in the list tabled by a small grouping of MEPs was defeated in February 2018. The Green News contacted both Shannon LNG and New Fortress Energy for comment on the upcoming case and the sourcing of gas for the project but did not receive an answer at the time of publication.